The average cost of motorcycle insurance ranges from $200 to $500. Some of the variance is based on where you live. Accident-prone states like Louisiana, Delaware, and Michigan have higher rates than California, while states like Iowa, New Hampshire, and North Dakota have some of the lowest rates. 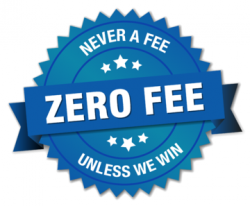 Depending on a number of other variables, the amount you pay could be 200% higher. Full coverage on some models of motorcycles could push the cost of insurance as high as $800 annually. The good news is there are plenty of ways to save money for the seasoned shopper. Motorcyclists are 35 times more likely to be in a fatal accident than passenger vehicles, so you can never be too safe on the road. Besides, completing a safe rider training course every three to five years can earn you a discount of 5-10%, depending on your insurance provider. Instructors earn up to 20% off. Most motorcycle safety courses offer additional discounts at motorcycle dealerships and retail shops. Check out your local DMV or the Motorcycle Safety Foundation websites for information on finding an approved course. If you have a clean driving record, you may be eligible to be named a “Preferred Operator.” These drivers are typically 25 years of age or older, with at least one year of motorcycle riding experience, and two or fewer minor violations, no major violations, and no major at-fault accidents over the last three years. Some insurers also offer a 10% “mature rider” discount for those over 50 years of age. Score a discount of 10% or more if you’re a member of the American Motorcycle Association, Honda Riders Club of America, Motorcycle Safety Foundation, Harley Owners Group, Gold Wing Riders Association, Motorcycle Touring Association, or the BMW Motorcycle Owners of America. If you agree to assume a larger portion of the risk in the event of an accident, the insurance company will generally cut you a lower premium rate. It might mean you’re paying $1,000 rather than $500 or $750 if you crash, but it could save you 20% over the course of the year. Setting aside a little bit of money each month into an “emergency fund” would be a wise maneuver. You only drive on the weekends, rather than using your motorcycle to commute to work. You store your motorcycle in a private garage, rather than parking it on the street. You are a seasonal motorcycle driver who stores the bike for the winter or rainy season. Your annual mileage is considerably low. You drive a type of motorcycle known for cheaper repairs. You are interested in insuring another motorcycle, a car, or a home with the same insurer. Following an accident, you may need assistance dealing with insurance companies. Contact experienced Los Angeles motorcycle accident lawyers at Ellis Injury Law to find out what compensation you may be entitled to. There is no shortage of roads of motorcycle-friendly routes in the Los Angeles area. However, a special treat found in Southern California is a unique choice in topography. Whether you are looking to get away to the beach, the woods, the desert, or somewhere else, you are only a short ride away. Here are some favorite destination rides in the Los Angeles area. The Pacific Coast Highway is a legendary route, and for good reason. This easy ride is simple to get to – just hop on Sunset Boulevard – and will give you a scenic experience all the way to the ocean. Stay on the PCH for the full 650+ miles to the Golden Gate Bridge or turn off to go exploring. Between the fresh ocean views and a captivating display of greenery, waterfalls, lighthouses, Spanish architecture, and an assortment of sea animals, there is always something to enjoy. While not in Los Angeles, Joshua Tree National Park is worth the 140-mile ride east when you want to escape the hustle and bustle of modern humanity. Once in the park, enjoy low speed cruising along approximately 90 miles each of paved roads and unpaved roads, taking in the namesake Joshua trees, cacti, and memorable rock formations. Keep your eyes peeled; you may see some famed big-horn sheep on-site. It is a longer trip but when you want to escape city life, the ride down Highway 38 is well worth the milage. Take an easy cruise in the beautiful country, through the San Bernardino National Forest, leading to Big Bear Lake. Stop along the way to enjoy the mountain views from lookout spots. Once there, enjoy a rustic retreat amid the pines, or head to Big Bear village for unbeatable restaurants. There is no shortage of canyons along the Pacific Coast Highway. Among them, Malibu canyon is the perfect choice for a relaxing ride. Enjoy the easy roads while taking in the changing scenery, from the ocean to the greenery throughout the canyon and even some tunnels. For a more adventurous trek, take it to Mulholland Highway and make your way through the tight, twisting road of the Snake. No matter where you ride, take all safety precautions and be on the lookout for other vehicles with drivers that may overlook motorcycles. If you are involved in an accident, make sure you have an established and trusted Los Angeles motorcycle accident lawyer on your side. At Ellis Law, we understand the pain and disruption a motorcycle accident can cause and we fight to hold negligent parties liable. 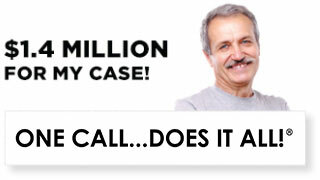 Call us to discuss your case; there is no obligation and we never take a fee unless we win your case. There is a very steep learning curve when you first start riding a motorcycle. Of course, you’ll need to pass a rider education course before you can even obtain a license. But experience is the best teacher, and the more hours you spend on your bike, the more you’ll learn about keeping yourself safe on the road. In the meantime, try to avoid making the following common mistakes. New riders are often anxious to take a girlfriend or boyfriend out on the bike with them. It’s natural to want to share your love of riding and the open road with your partner, but rushing into this can put both of your lives at risk. Riding with a partner is very different from solo riding. The motorcycle will handle differently, and you’ll be distracted by the person behind you. Wait to take your partner out on the bike until you’ve gained a great deal of experience in all sorts of weather and traffic patterns. Going at full throttle is a good way to go nowhere. Specifically, your bike will stall. Of course, not giving the bike enough throttle will also cause it to stall. Spend plenty of time practicing applying just enough throttle as you release the clutch. One of the reasons motorcyclists become motorcyclists is an enduring appreciation for the journey itself—not just the destination. You’ll have plenty of opportunities to enjoy sweeping vistas and once in a lifetime views from the seat of your motorcycle. But heavy traffic is not the right time to gawk at the scenery. Motorcyclists are far more vulnerable than drivers. It’s absolutely essential that you stay focused and continually monitor the changing traffic patterns around you. If you’re riding in a city, for example, be aware that a driver in a parked car can suddenly open the door—right in front of your bike. If you’re on the highway, keep an eye out for drivers who might try to merge into you. (Your bike is far less visible than a car.) Even if there is little traffic around you, you must continually scan the road ahead of you for potholes or other road hazards. Stay alert at all times to reduce your risk of a serious crash. In car-motorcycle accidents, the driver of the car is quite often the one at fault for the crash. But you can’t rely on the insurance company to offer a fair settlement, especially since motorcycle accident injuries can be very severe and potentially permanent. You need the seasoned legal guidance of a personal injury lawyer. 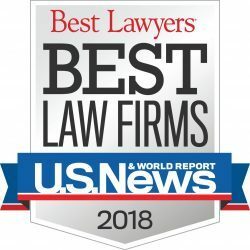 The motorcycle crash lawyers in Los Angeles at Ellis Law Corporation are vigorous advocates for the rights of injured bikers. We’ll help you secure the compensation you’re entitled to. You shouldn’t have to pay for someone else’s mistake. 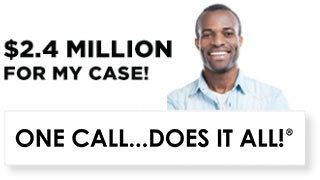 Call our office today if you’ve been injured in the southern California region. An increasing number of women are taking up riding motorcycles. According to the Motorcycle Owner Survey conducted by the Motorcycle Industry Council (MIC) in 2015, 14% of all motorcycle owners are now women. Now, that might not sound like a lot, since that means that 86% are still men. But it is part of a trend in which younger women are more and more likely to own a motorcycle. Of Baby Boomers, for example, only 9% of women owned a motorcycle. In the generation that followed them, Generation X, 17% do. And the Millennials (Generation Y)? Women own 18% of motorcycles in that generation. The numbers are particularly significant given that fewer and fewer Americans own motorcycles. 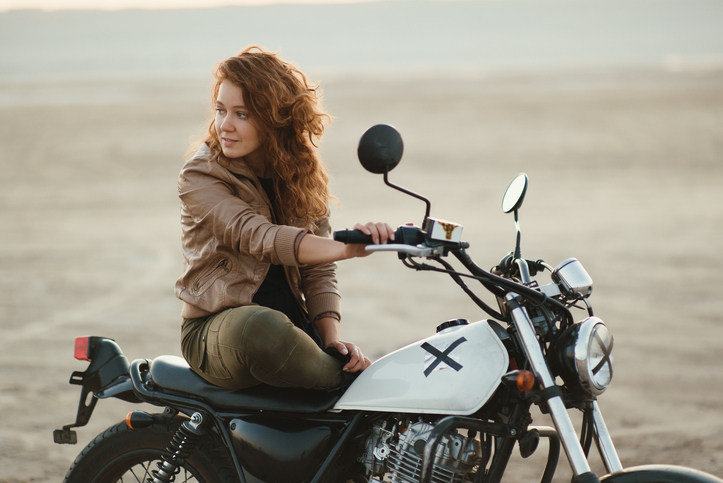 Women are a hot new market for motorcycle manufacturers. Women gave fun and recreation, freedom, and enjoying the outdoors as the top 3 reasons they own motorcycles. 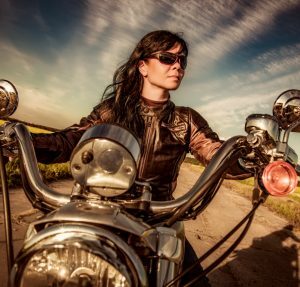 Women who own motorcycles tend to be both younger than their male counterparts and better trained to operate a motorcycle. Women motorcycle owners’ median age is 30. Men motorcycle owners’ median age is 48. Slightly less than half of the women are married, versus over 60% of the men. Roughly 50% of women owners have college or professional degrees. The MIC estimates that 60% of women underwent safety courses on motorcycles, whereas just 42% of men did. Perhaps more surprisingly, they don’t drive lighter models, on the whole. About 33% own a cruiser. Sport motorcycles were purchased by just 10% of women. Now, some observers do think that lower seats will be more attractive to women riders. But many women riders say that that’s the only concession to the fact that women are usually shorter and lighter than men. If you or a loved one has been injured or killed in a motorcycle accident in southern California, we can help. Motorcycle accidents can be serious and the effects long-lasting. We will fight to see that justice is done. Call an experienced Los Angeles motorcycle accident lawyer today at 310-641-3335 for a free consultation. Motorcyclists take great pride in their bikes and in custom modifications they add to personalize their rides. The motorcycle accident attorneys at the Ellis Law Corporation in Los Angeles work tirelessly to keep riders on their bikes and to help them recover the compensation they deserve when a careless motorist damages those modifications and causes injuries to a rider in an accident. Based on the many modifications that our attorneys have seen in their years of representing riders, we believe that the following five mods are good, low-cost ways both to personalize your motorcycle and to enhance your safety and security when you are out in traffic. Frame sliders can limit the damage to smaller bikes by taking the brunt of an impact when a bike crashes or tips over. Engine guards are the beefier big brothers of frame sliders that minimize engine damage on cruisers or larger V-twin bikes. Engine guards can also provide additional footrests to ease fatigue over longer rides. Good quality aftermarket frame sliders and engine guards are available for a few hundred dollars. Riders who subscribe to the theory that “loud pipes save lives” often add modified exhaust systems to their bikes to create a more guttural roar that might better alert drivers to their presence. Even with louder pipes, riders should never drop their guard on an assumption that a loud exhaust will cause automobile drivers to be more cautious. Still, modified exhausts can improve a bike’s performance and help a rider to reduce hazardous situations. Coming in at prices from $200 to over $1,000, exhausts are not inexpensive, particularly when compared to other motorcycle mods, but they can add a distinctive flair to virtually every type of motorcycle. Both new and seasoned riders will suffer hand fatigue on longer rides or in stop-and-go traffic. Softer foam grips or grip puppies that fit over existing grips can reduce that fatigue and numbness and give riders a more comfortable riding experience. New grips are also inexpensive (typically less than $100) and are easily installed with few or no special tools. Ellis Law’s motorcycle accident lawyers know that a properly charged battery is essential to keeping your ride on the road and that a battery tender is the easiest way to maintain that charge. Most battery tenders cost around $50. They are easy to install and are the simplest way to assure a rider that a short in a bike’s electrical harnesses will not drain the battery’s power or keep the rider off the road. Riders can extend the mechanical life of their bikes’ engines with air filters and oil coolers that reduce thermal stress on a bike’s mechanical systems. Oil coolers are particularly important for riders who will take their bikes on longer rides in hotter climates. Better air filters will also add tens of thousands of miles onto a bike’s lifespan. 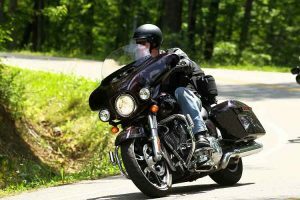 You might spend a few hundred dollars for each of these mods, but you will see a long-term payback in longevity and performance that will make your riding more satisfying and enjoyable. California’s roads and highways present high risks to riders. If you have been in a motorcycle accident in southern California, call the Los Angeles motorcycle accident lawyers at the Ellis Law Corporation for representation and assistance in dealing with the insurance companies that will inevitably try to place the accident blame on you. We understand the challenges that motorcyclists face and we know how to fight those insurance companies to recover the compensation you deserve and need to get you back on your bike. BikeBandit.com, 10 Essential Mods for New Motorcycles. https://www.bikebandit.com/blog/10-essential-mods-for-new-motorcycles. When it comes to riding a motorcycle and staying safe, having the right gear is essential. Whether you’re an absolute beginner or a veteran biker, you want to protect yourself in the event of a fall or crash. There are literally thousands of accessories, innovative gadgets and motorcycle get-ups on the market that will help you get from point A to point B in one piece—and today’s gear is getting lighter, more functional and stylish. Stay safe in the saddle by equipping yourself with the following essentials. Motorcycle helmet – A quality, lightweight DOT-certified helmet may set you back $300-$400, but it is well worth the investment. Wearing a helmet is not only the law, it can probably save your life and reduce the chances of suffering traumatic brain injury in an accident. A full-face helmet offers the best protection but get a ¾ helmet at the very minimum. Experts recommend replacing your helmet every 5 years as the components and adhesives inside begin to break down. Jacket – If your budget allows, purchase a quality jacket for warmer and cooler temperatures that provides abrasion resistance. Some of the best motorcycle jackets are made of leather and reinforced mesh – materials that won’t shred when you hit the pavement. Boots – According to statistics from the CDC, 30 percent of all non-fatal motorcycle injuries occur in the feet and legs. Protect your ankles and avoid crush injuries by investing in a solid pair of motorcycle boots (preferable made of leather). You’ll find boots with padded armor discs that protect ankle bones, reinforced toe boxes and extra thick soles. Gloves – Motorcycle riding gloves are designed to protect your digits from the elements and road rash. Made of suede, full-grain leather and mesh, most feature reinforced knuckle and palm armor for added safety. Motorcycle Pants – In the event of a spill, regular demin will shred in seconds, increasing your chances of serious injury. As with a jacket, you want to look for abrasion-resistant materials such as Kevlar. There are many new textiles available that won’t rip or tear. You can also purchase riding jeans that are lined with Kevlar. Reflective vest – A reflective vest is a must-have for any rider. Put it over your jacket for increased visibility at dusk and nighttime, when many accidents tend to happen. With the right safety gear, motorcyclists can reduce the chances of being fatally harmed in the event of a crash. To learn more about your legal options in the wake of an accident, contact Ellis Injury Law Firm for a free and confidential case evaluation with a skilled motorcycle accident lawyer in Los Angeles. Phones are answered 24-7, call today at 310-641-3335. Deaths from motorcycle accidents in California fell more than 28% during 2017, according to statistics from the Governors Highway Safety Association (GHSA). Fatalities from motorcycle accidents were also fewer nationwide year over year, although the drop, at 8.6%, was much less dramatic than in the Golden State. The numbers fell to 406 deaths from motorcycle accidents in California during 2017 versus 566 in 2016. Nationwide, 4,798 people were killed as a result of motorcycle accidents in 2017 versus 5,251 in 2016. Although the decrease is cause for celebration, motorcycle riding is still dangerous to life and limb. Deaths resulting from motorcycle accidents occur 28 times more frequently than deaths from other vehicle accidents. Why Fewer Motorcycle Accidents in 2017? Why were there fewer motorcycle accident-related fatalities last year? The GHSA points to the ability of the state’s riders to split lanes. While many states have debated letting motorcycles split lanes, only California allows it legally. Opinions on the safety of lane splitting are not uniform. Clearly, state legislators think it enhances safety, building on University of California, Berkeley researchers, who felt it could be safer if done at appropriate speeds. Their 2015 study found fewer head and torso injuries and fewer deaths in lane-splitting motorcyclists versus those who did not split lanes. The National Highway Traffic Safety Administration has also noted that other countries have enacted lane-splitting laws and it seems to have worked well where allowed, reducing congestion and promoting safety, partly because bikers are no longer trapped behind cars. But opponents believe that lane-splitting increases the chances that motorcyclists can be hit by vehicles changing lanes who overlook them — or are taken unaware by a darting motorcyclist —and that lane-splitting motorcyclists can startle motorists. The single most important safety measure in driving a motorcycle, of course, is wearing a helmet. 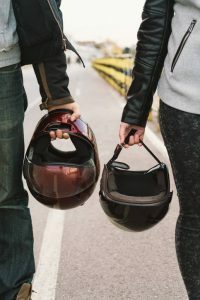 The U.S. Centers for Disease Control (CDC) estimates that helmets saved more than 1,800 lives in 2016, the last year for which those statistics are available. Helmets cut down on the risk of a fatality by 37%. The drop in motorcycle accident-related fatalities, both in California and across the U.S., is excellent news. But motorcycle accidents still cause far too many injuries and deaths in southern California and across the nation. When accidents do happen and tragedy ensues, families have the legal right to compensation for medical bills, hospitalizations, even funerals. Call an experienced Los Angeles motorcyclist accident attorney at The Ellis Law Firm if you or a loved one has been injured or killed in a crash. We have decades of experience winning maximum compensation for injured motorcyclists in southern California. Call us today at 310-641-3335 for a free consultation. There’s nothing quite like the first time you fall in love with riding. The thrill of the open road, the freedom of superior maneuvering, and the dynamite acceleration—what’s not to love? The only problem with becoming a motorcycle enthusiast is that there are so many superb motorcycles to ride and so little time. Here’s a quick rundown of some of the best motorcycles around, according to your riding preferences. Beginning riders need to find that middle ground between ridiculously fast sports bikes and ridiculously large cruisers. One excellent compromise is the Kawasaki Ninja 400, which can be yours for just about 5K. It’s a fun, zippy ride perfect for gaining experience. Or, try the Honda Rebel 500. Honda is known for its reliability, and this newer version of the Rebel 250 is lighter and more stylish. Motorcycles are popular among commuters because they aren’t gas hogs, they’re more affordable than newer model cars, and let’s face it—the cool factor is undeniable. Who wouldn’t want to show up at a stodgy office building with a helmet under one arm? 2017 Ducati Monster 797: Ducati is not a brand known for its affordability or practical, everyday use. The Monster is different. It offers a respectable 75 horsepower twin motor and Brembo brakes, and it can be yours for a hair under 10K. 2017 Honda CBR500R: Honda makes some fantastic bikes, and this model is no exception. For under $7,000, this bike can be yours, with Honda’s new suspension, intake, and exhaust systems—plus CBR handling. 2017 Suzuki Vanvan 200: Looking for a snappy-looking retro style for under 5K? You could do far worse than this nostalgically styled Suzuki, which is comfortable enough for daily commutes. Smart motorcyclists always observe the speed limits and the flow of traffic. But even if you aren’t maxing out your bike’s power, it’s thrilling to know what the machinery you’re on is capable of. Here’s a look at some of the fastest motorcycles money can buy. Dodge Tomahawk: 350 mph (560 km/h). If you’ve ever wanted to ride something that looks similar to the Batcycle used in the newer movies, this is the bike for you. 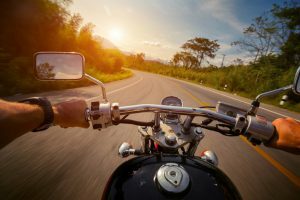 Following the rules of the road and practicing everything you learned in your motorcycle safety courses aren’t always enough to keep you safe. Safety gear helps, of course, but if the driver of a passenger car or big rig fails to see you, you’re probably headed for the hospital. If you’ve sustained injuries and property damage due to someone else’s mistakes, you need legal representation. Call a Los Angeles motorcycle accident attorney at Ellis Law in southern California. We’ll do everything possible to secure just compensation on your behalf. 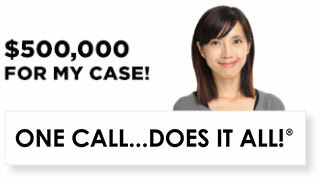 Call toll-free at 888-654-7056. 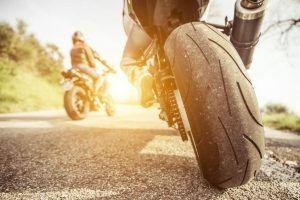 Southern California is blessed with a longer riding season than most of the country, and those who know the thrill of riding a motorcycle at full speed down a California highway can also understand the danger that riding with unresolved maintenance issues presents. Motorcycle maintenance is necessary, but it does not need to be financially painful. These DIY motorcycle maintenance tips will keep you riding safely. The importance of reading the owner’s manual for your bike cannot be overstated. Each make and model has its own requirements and recommendations, and not following these requirements can shorten the life of your bike or even lead to accidents. Following the manufacturer’s specifications is not just a rule for DIY maintenance. Even if you take your bike to a shop for expert repairs, make sure they have experience with your make. Here are some important and do-able maintenance tasks owners can perform on their own, along with tips to get going. Oil is crucial to keep your bike running, but over time it will break down from heat and become contaminated. Brakes are probably the most important safety feature on a motorcycle. Rregular maintenance is necessary for optimal performance. A motorcycle’s tires provide key contact with the road and they need to be in proper condition to do their job. Regular motorcycle maintenance is a necessary part of bike ownership because accidents caused by poor maintenance can be deadly. Poor maintenance is not the only cause of motorcycle accidents. Sometimes other drivers’ negligence, improper servicing by a professional, or manufacturing defects lead to motorcycle accident injuries. If you have been injured in an accident in California, call Ellis Injury Law today at 310-641-3335 for a free consultation with a Los Angeles motorcycle accident lawyer.